Lot 698. [Miscellaneous]. Lot of two modern trial strikes by David Sellwood using experimental minting techniques. Includes: AR ‘tetradrachm’. 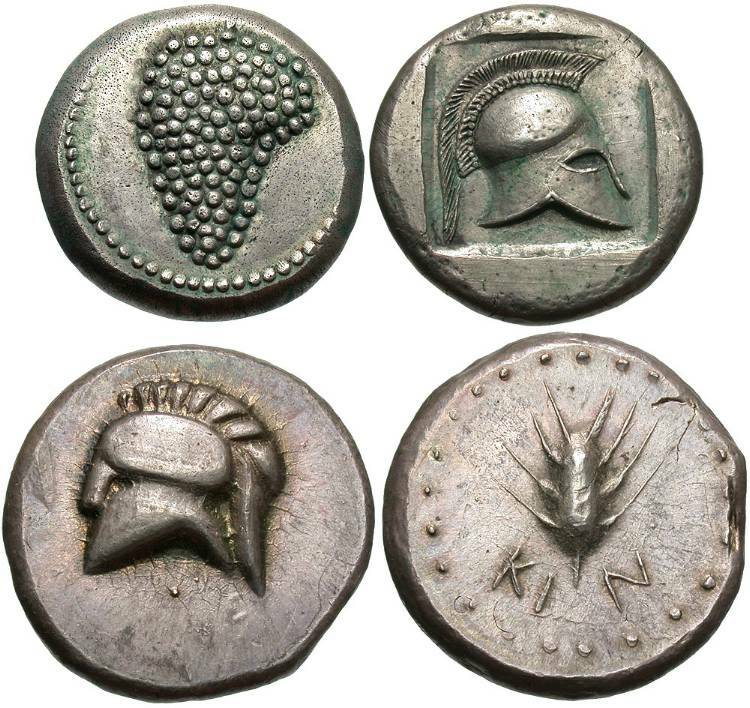 Grape bunch / Side view of triple-crested Corinthian helmet right within incuse square // AR ‘tetradrachm’. Crested Corinthian helmet left / Grain ear within pelleted border. For both coins, see D. G. Sellwood, “Some experiments in Greek minting technique,” NC (1963), pp. 217-31, and pl. XXIV, nos. 8 & 11 for the dies used to strike the second coin. Both coins toned and in excellent condition. This lot includes a copy of the 1963 Numismatic Chronicle, thus will incur additional postage.